"What's behind me." What a surprisingly challenging way to start a brief summary of the past year, the present moment, and my future plans. I thought summing up the past would be the easiest of the three parts; my history is history. What has already happened can not be changed. So why is it difficult to find the words to describe what I already know to be true? When you take the time to look back on your past, oftentimes you can't help but to experience it all again. You remember the little details not visible to third-party eyes and you instantly place labels such as "happy," or "regrettable" or "exciting" on particular events or places in time. It's not like observing a chronological timeline on a piece of paper objectively; you feel everything -- even the tiniest intricacies carry weight. And perhaps -- because the past can not be changed -- it becomes even more difficult to describe with full justification. And no matter how much you want to relive a moment, and no matter how much you wish you could change something that happened, you can't. It's that simple. At least with what's currently in front of you and with what lies ahead, your hopes and expectations are still the driving forces. You still have the ability to make changes and redirect your route, if need be. But your past is in the past. I can only tell one version of my history with sincerity. 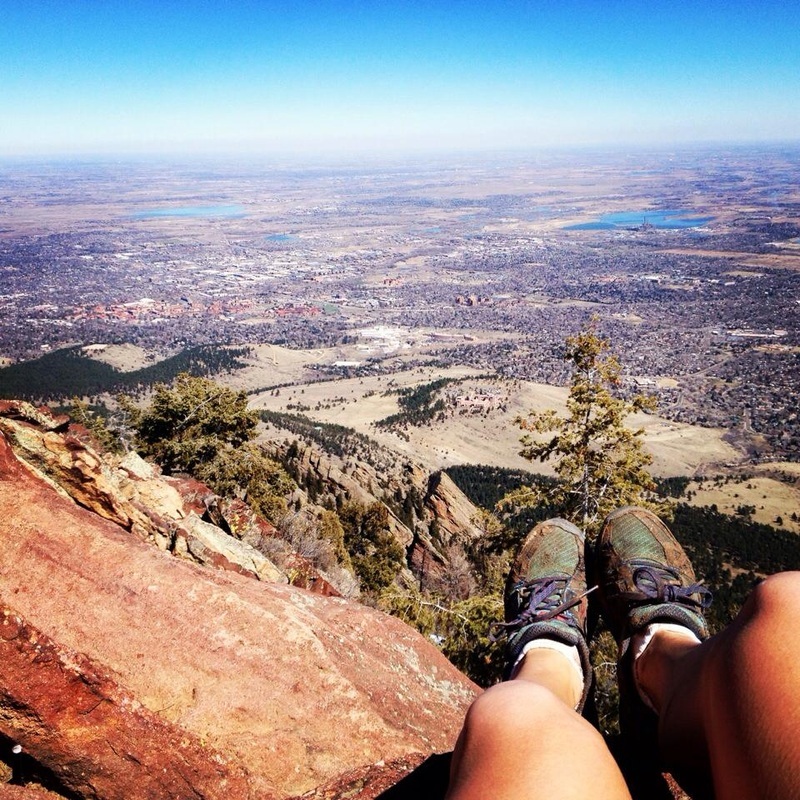 Bear Peak: the perfect place to reflect during a routine training run. Since this site is primarily geared toward running and all of the racing, training, travels, adventures, tales, anecdotes, failures, triumphs, and silliness that inherently ensue(s) from such a sport, I'll begin with a quick summary of the last two ultrarunning seasons. 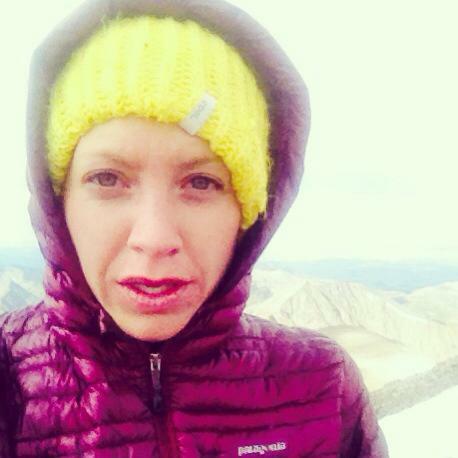 My introduction to ultrarunning in May of 2013 came about like many other runners' introductions to the sport: I was seeking an outlet. I needed an escape that was strong enough to relieve the overflow of emotions that my mind and body couldn't handle. 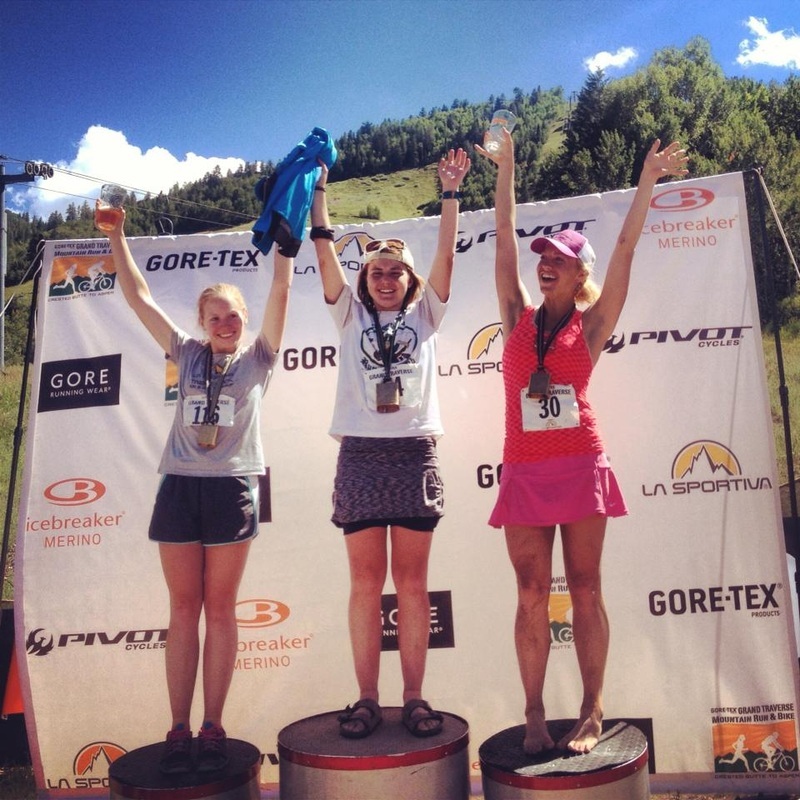 Helplessness and grieving, complete and absolute burnout from triathlon, and a loss of direction and purpose inevitably caused me to sign up for the Ultimate Direction Dirty 30 (Blackhawk, CO) -- a 50K held just on the other side of Star Peak, where I was then living in a quaint one-room cabin situated at 9,300 feet. I had never raced farther than a half marathon (solely running), but I was hoping that my endurance triathlon base would be enough to get me through it. Fortunately, it was a shot worth taking when two short weeks later I completed my first 50K and even grabbed a solid 8th place amongst some experienced women. 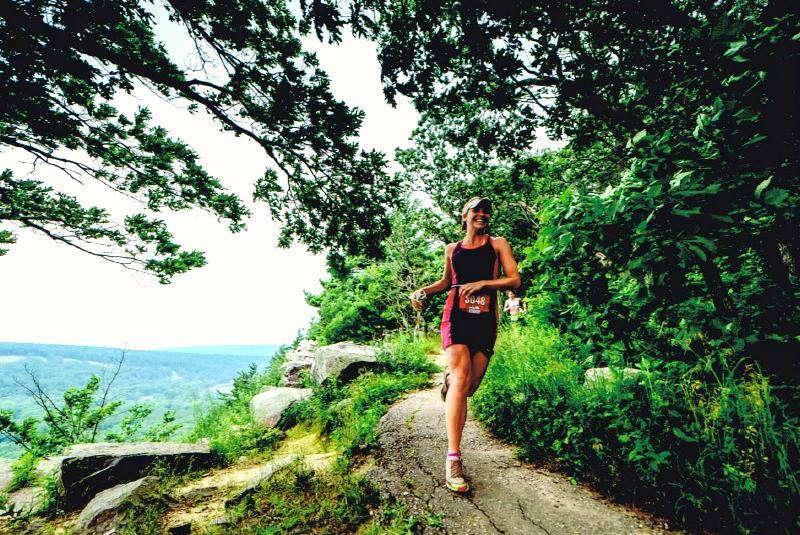 Like the majority of others that flirt with ultrarunning, I instantly became enamored. 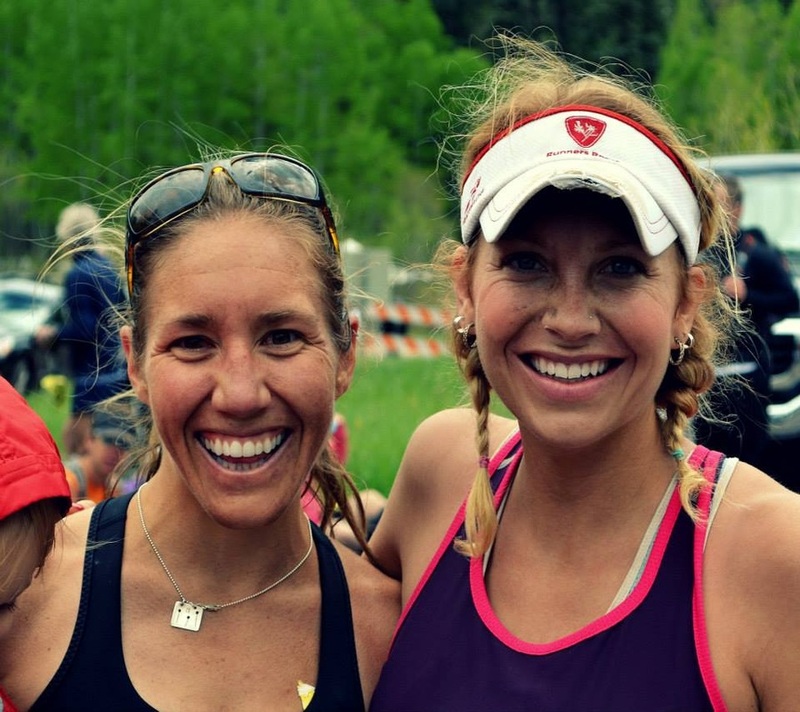 Post-race celebrations with fellow racer and new friend, Nikki Pardoe. The rest of the 2013 season proved to be a fun one, filled with nothing but "getting my feet wet" and learning through experience (albeit mostly the hard way). 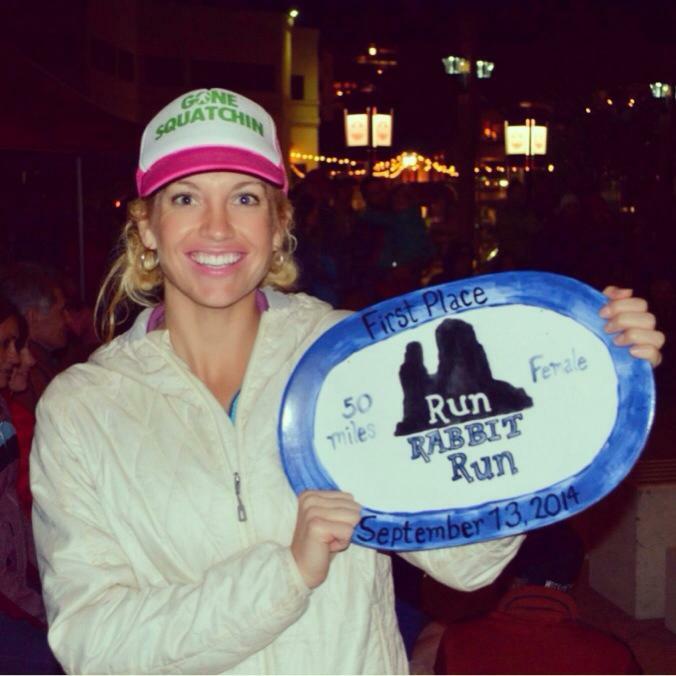 After a couple of successful 50K's, I decided to make the jump to 50 miles in September '13 at the Run Rabbit Run in Steamboat. I had so much (Type II) fun and placed well enough that I couldn't wait to give 50 miles another go. I got online a few days later to pick out a late-season 50 mile and just happened to see that there was a 100 mile race -- the Pinhoti 100 -- that was going to be held on my 28th birthday, November 2nd. 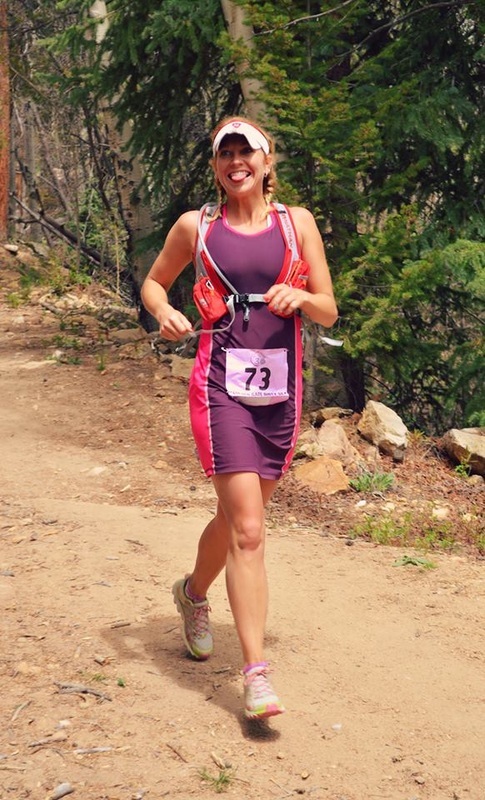 Although I had absolutely no intention of racing a 100-miler that first season, I thought the date "couldn't be pure coincidence," and I took it as a sign -- (even if a weak sign) -- that I had to race it. 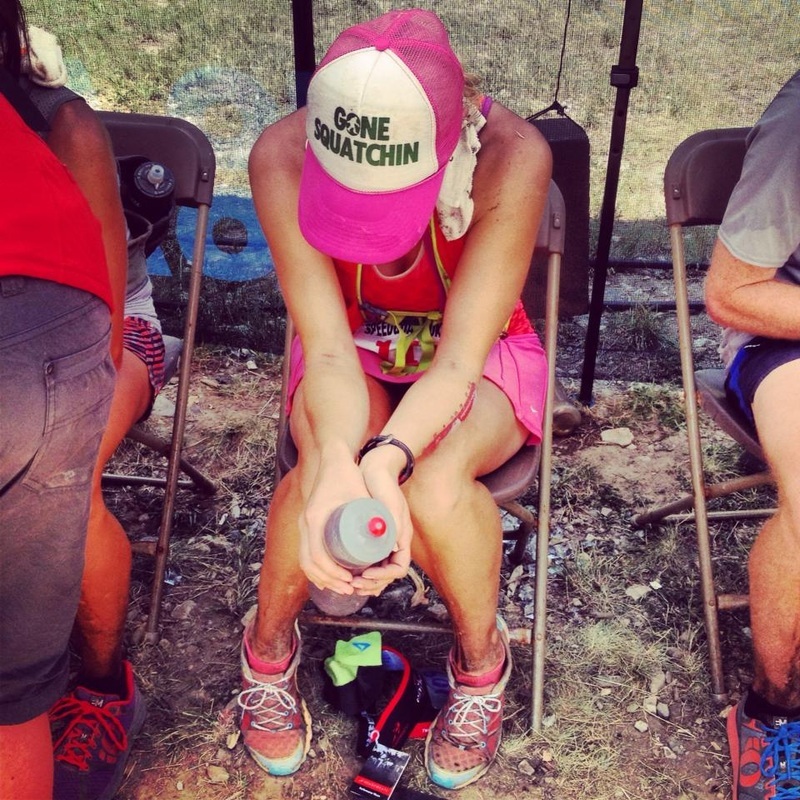 Five months after I raced my first 50K I gave 100 miles a try. I had never experienced such lows and such mental and physical agony as I did in the last 25 miles after my IT band "popped" at mile 70, but I was able to cross the finish line and hobble away a year older, 100 miles further, and just slightly the wiser. 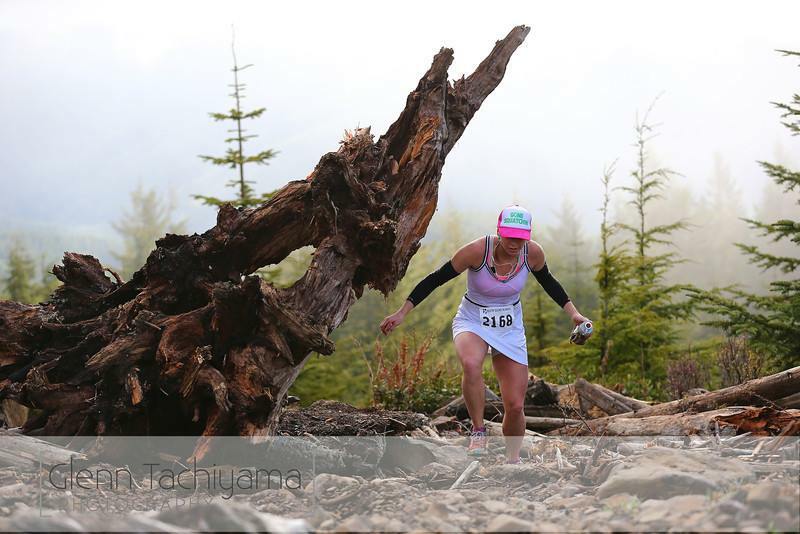 I came up with my first win and a 1hr 45minute PR later that spring at the Capitol Peak 50 Mile in Olympia, WA, but at the cost of running through the not-yet-recovered IT band injury that only became more aggravated. Even with rest, cross-training, PT, strengthening exercises, rolling and stretching over the next eight weeks, the injury wouldn't fully subside. I was able to get in some training, but I had to do a lot more cross-training than anticipated. 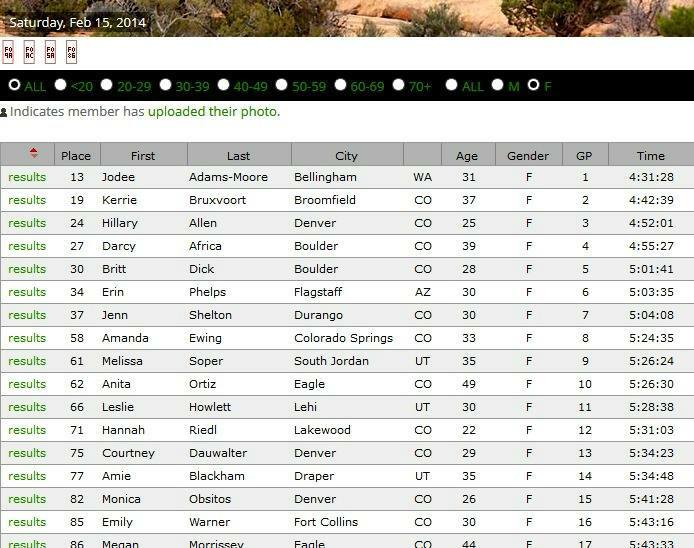 I was feeling relatively OK and somewhat fit when the Speedgoat 50K arrived, and I was once again excited to see how I could place amongst the toughest field I had faced yet. 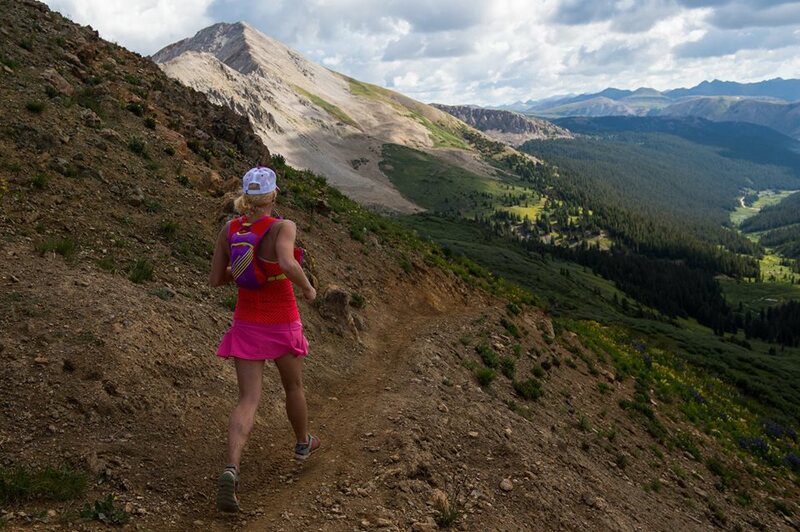 However, Speedgoat quickly turned into the the "Murphy's Law" of races ("Anything that can go wrong, will go wrong"). Just three days before the race, I caught the mid-summer flu bug that 75% of my coworkers carried and I laid in bed for a day drinking nothing but water, nyquil, and beet and kale smoothies to try to flush my body and pump it full of goods. When the time came to leave for the race the day before, a timely car breakdown pushed me 5 hours back and into horrendous rush-hour and accident traffic up I-70 (I know, I know...I should have gone up through Wyoming). Inevitably driving like a mad-woman solo through the night, I drank cup after cup of coffee trying to stay awake while I watched the ETA clock on my GPS tick backwards. I ended up pulling into Snowbird with 40 minutes to spare; just enough time to check in, change in my car, pin my number, and get to the starting line on zero hours of sleep, sick, dehydrated and highly over-caffeinated. Needless to say, the race didn't go anywhere near according to plan. I hung in the top-10 until mile 10, where I was overcome with dizziness and I began to throw up. The next 10 miles were a combination of trudging, shuffling, vomiting, lying down on the ground, trying to force food and water.....REPEAT. The only thing that relatively saved me was my anger in the last 10 miles. I went into "animal-mode," pushed as hard as I could and ended up passing a fair amount of women during the last long climb-and-descent. However, it wasn't even remotely close to where I wanted to finish and I could hardly stand or keep my eyes open when I crossed the finish line covered in dirt, sweat, vomit and shame. After my Speedgoat debacle toward the end of July, I dedicated a full week to getting healthy. I ran very little and focused on sleep, stretching, light activity and positivity. Dan V, my manager at Neptune Mountaineering, also asked me during that week whether I would like to represent Neptune in the GORETEX Summer Grand Traverse from Crested Butte to Aspen on August 16th. 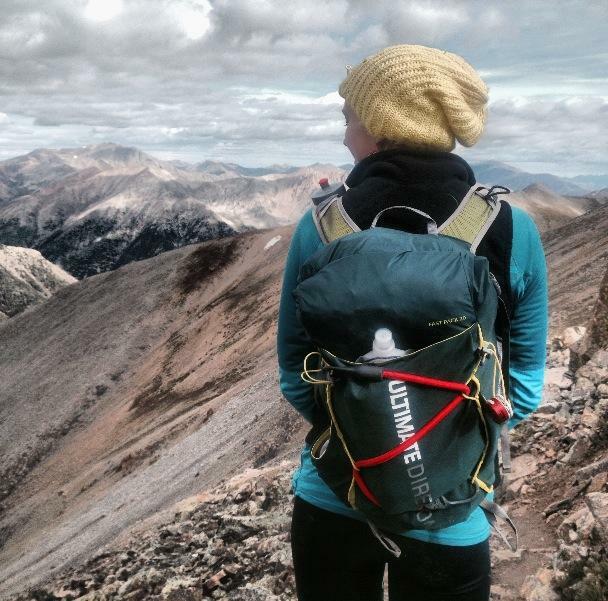 Even though I knew I would be attempting Nolan's 14 toward the end of August, I thought the Grand Traverse would give me the chance I needed to get some confidence back before attempting the longest mountain line in world unsupported and solo. Three weeks into August, the plan worked. I came up with a satisfied 2nd place for the 42-mile race after an early and costly wrong-turn, met some really wonderful people and could feel my self-resolution grow. Plus, a truly stunning day over the Elk Mountain Divide with views of the Maroon Bells and Pyramid peaks is always good medicine for the mind and soul. Just one week after the Grand Traverse, I drove up early on the morning of August 24th to the Fish Hatchery Trailhead just outside of Leadville, nestled within the grandiose Sawatch Range. After parking my car in a secluded spot (the car contained the majority of my worldly possessions after a summer of "roughing it" and I wasn't sure what the theft was like around those parts), I grabbed my near-30-pound pack (the Ultimate Direction Fastpack 20) stuffed with enough food and gear for five days and set off alone into the forest below Mount Massive -- the first peak of 14 that I would be attempting to summit in a row. I won't go into details here, as my unsupported Nolan's attempt will still be an entire blog post on its own. But three days and two nights later, after running from relentless thunder, lightning, hail, some costly mistakes and my ever-nagging IT band injury, I had to end my attempt on my way to the 8th peak when an unexpected snowstorm trumped all else; I did not have enough warm gear to handle the snow and frigid temps, especially with an injury that prevented me from descending anything remotely steep. The adventure was the epitome of bittersweet, but the experience as a whole revealed that I am far stronger and far more resilient that I'm even aware. I am so incredibly grateful for that lesson. 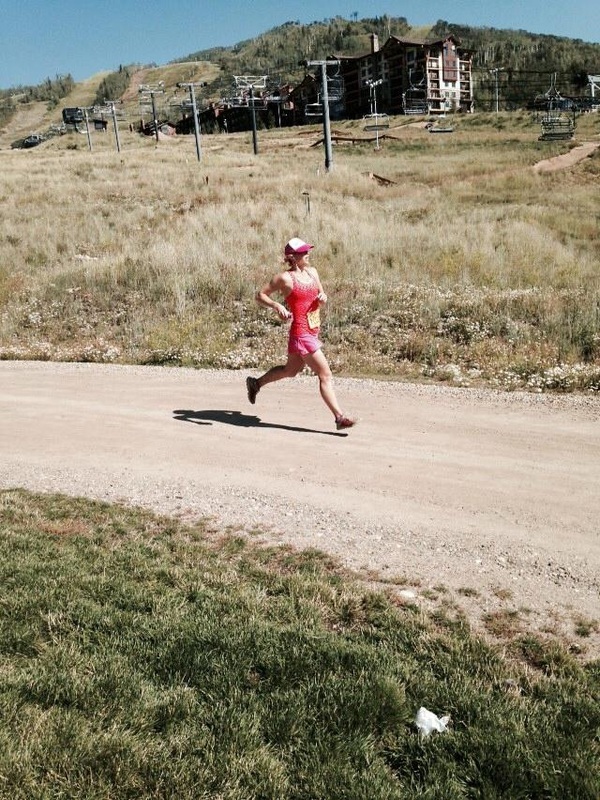 Though I knew after Nolan's that my injury was serious and that I couldn't do much more successfully with it for the 2014 season, I decided to put in one more hard-and-gritty effort at the Run Rabbit Run 50 mile in Steamboat. 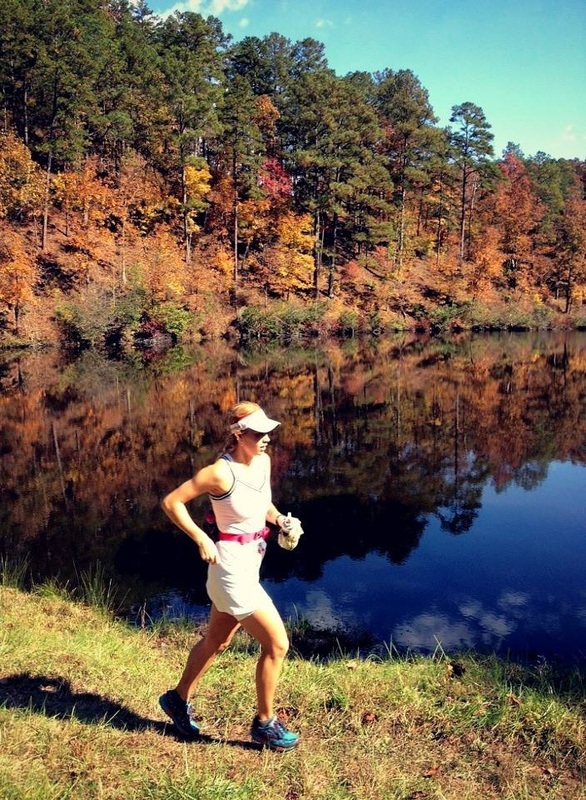 I had already been entered in the 100-mile race, but again, injuries change plans. Fred from the Run Rabbit crew was kind enough to let me switch to the 50 mile last-minute; I knew if I could get through the first 25 miles -- even in pain -- I could gut out the second half. At the very least, it was worth a shot. I ran just once between my Nolan's attempt and Run Rabbit, once again, almost solely focusing on recovery and health throughout those three weeks. 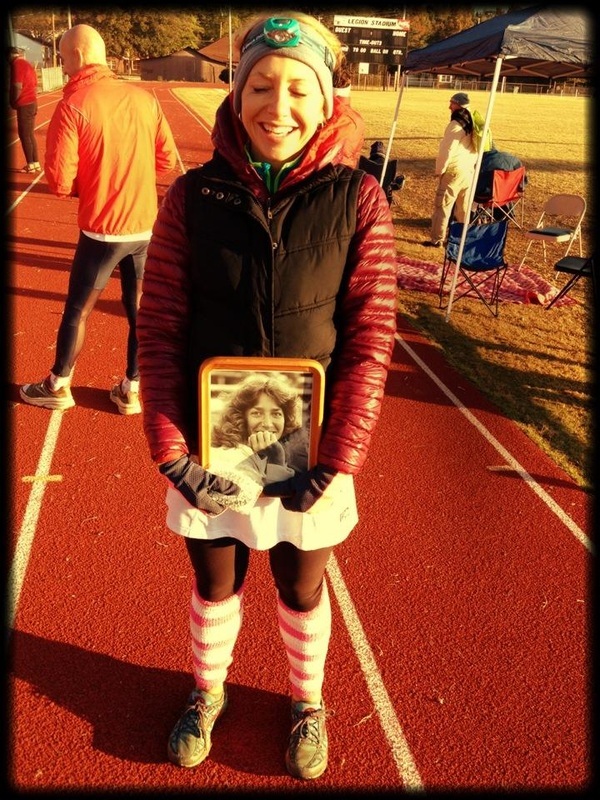 When race day came, my IT band felt "well enough" to toe the line for what I knew to be my final race of the year. Though I was scantily-trained during the few weeks prior, I felt strong from the initial 7-mile climb up the side of Mt. Warner, fought through the pain of the inevitable collapse of my injury, used the happy energy generated from the support of my visiting father, and came up with a win by nearly 40 minutes. It wasn't pretty, but it was how I set out to end my 2014 season of both literal-and-figurative ups and downs.